Random Panel: Wait, THEM?! We’re doomed. 2 Responses to Random Panel: Wait, THEM?! We’re doomed. 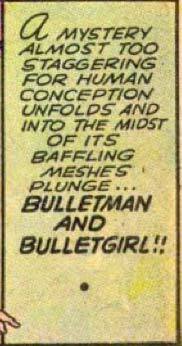 I like how there’s someone pointing at the bullethole in the very baffling mesh the heroes flew into. THEY’RE OUR LAST HOPE?!?! Everyone, write your will, tell your honey you love them, and KISS YOUR BUM GOOD BYE!!! !